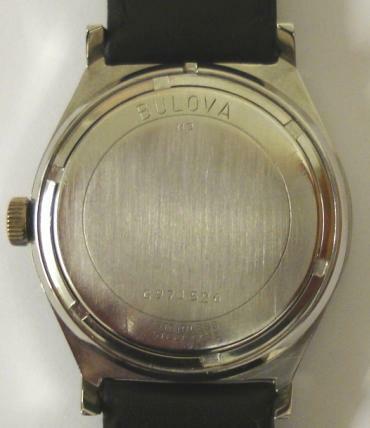 Stock Number: WWOM069 - Bulova Swiss Stainless Steel Automatic Wrist Watch - £275. 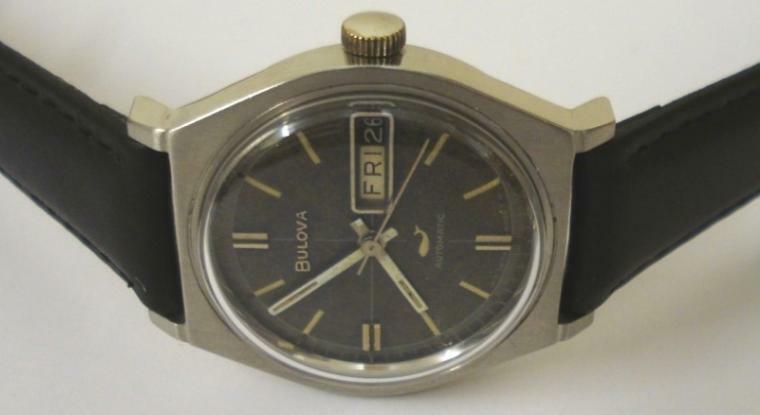 Bulova automatic wrist watch in a stainless steel case on a black leather strap with silver buckle. 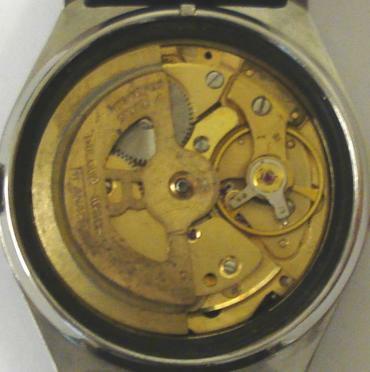 Aged dark blue dial with silvered baton hour markers and matching hands with sweep seconds hand and day / date display at 3 o/c. 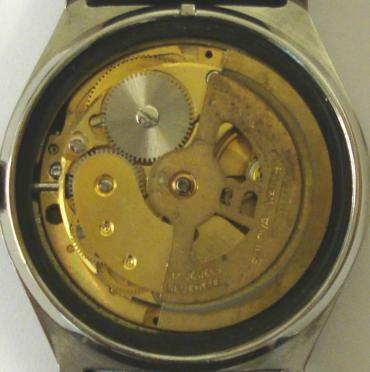 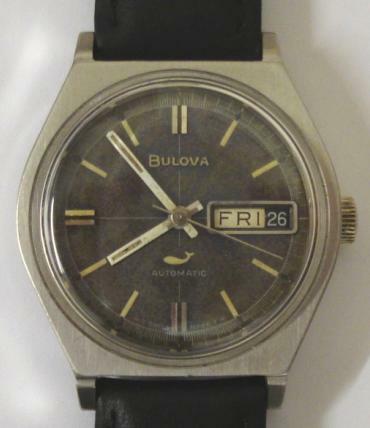 Swiss made Bulova calibre 11ANACB 17 jewel automatic movement circa 1965, with screw on case back numbered M9 G971526.